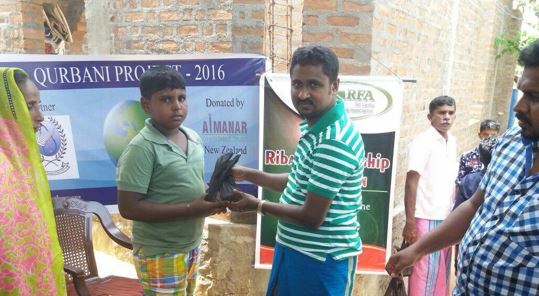 Sri Lankan Society of New Zealand (SLSNZ) has been partnering with Al-Manar Trust New Zealand, implementing distribution of Qurbani Packs among the needy people in Sri Lanka. The beneficiaries of this project were selected by our local partner organizations, with the support of area masjids and direct supervising of SLSNZ. Distribution of Qurbani Packs among the needy people 9 Areas in Sri Lanka. Project Activities SLSNZ distributed (through local partner organizations) Qurbani Packs among 1,595 needy people in 9 different locations in Sri Lanka.